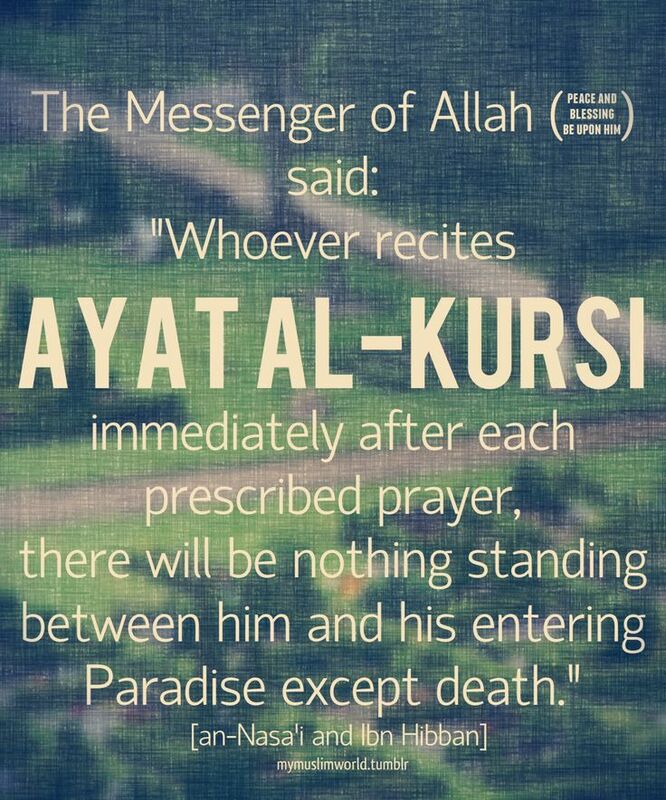 It’s in another Hadith that Reciting Ayatul Kursi after one Fard (Fard Salat) will stay in Allah’s protection until the next Salat. 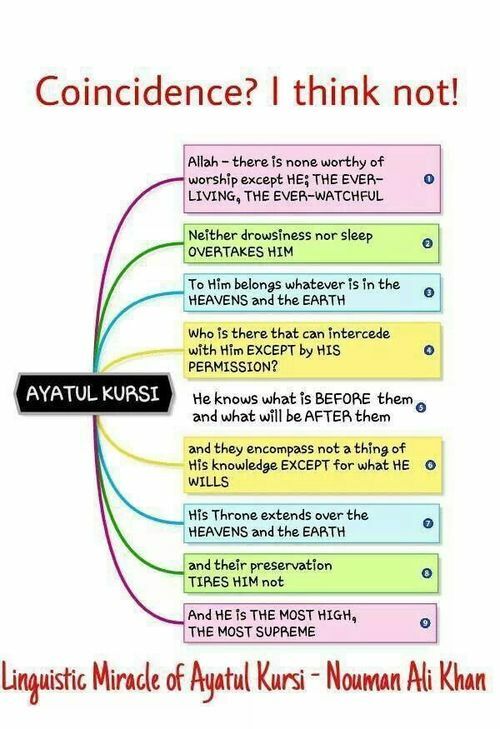 Imam Bayhaqi (rah) states that the one who recites Ayatul Kursi before falling asleep, Allah Ta’ala gives protection to his/her home and his/her Family. It’s in another Hadith that Jinns and Shaitans do not come close to the house in which Ayatul Kursi is recited. Hadrat A’isha Radiallah Anha states that a person arrived in the court of Nabi kareem ﷺ and complained that there is no Barkat (Blessings) in anything in his home. Rasool Allah ﷺ said, “You do not recite Ayatul Kursi, whichever Food and Curry you will recite Ayatul Kursi on, Allah Tala will give Blessings on that Food and Curry. Is it a coincidence…r destiny!its all ALLAHS will,dat we do things wich jus seem to be a matter of chance,reading this compilaton of urs,n thereafter following it all my life…..jus reading a powerful verse wich will change my life….indeed dis is ALLAHS way…i will give all my strength to say this verse untill my last breath n i hope all f u who were destined to be here today reading dis shall try for d same….inshallah…i shall meet u all on d day..its supposed to be…inshallah..for ALLAH shall we live for ALLAH shall we die. One night I was alone in my house when someone invisible lifted my bed .I got scared simultaneously something started overtaking my body from my feet.I had no option the to recite ayatal kursi .I also prayed to Allah Almighty that you help me as I cant fight this thing .In seconds every thing was over and I thanked Allah.